The Ultimate combination of performance and economy. 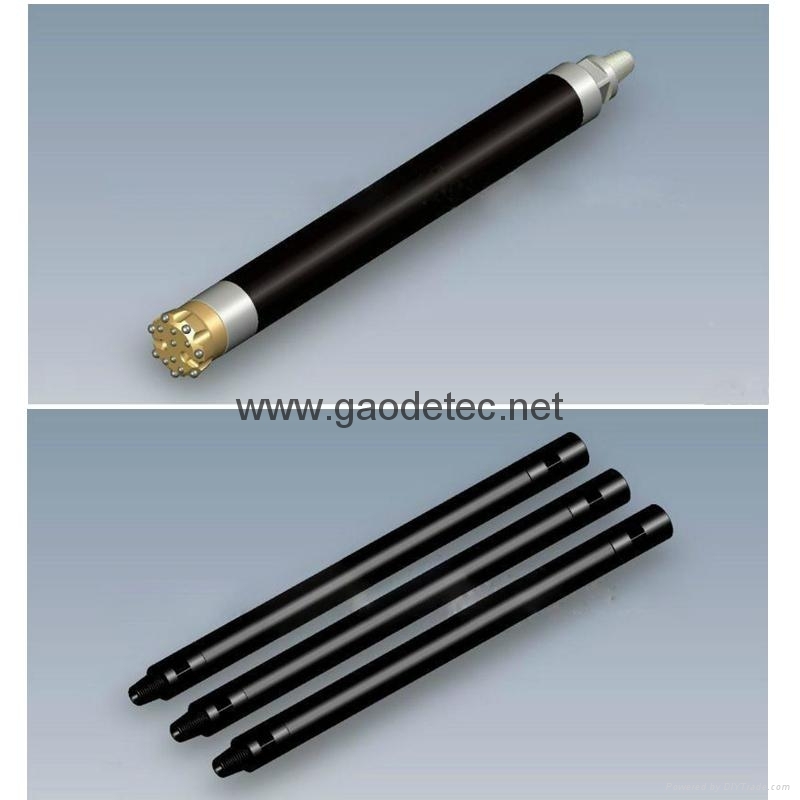 DTH system delivers the highest-possible drilling performance at low running cost. 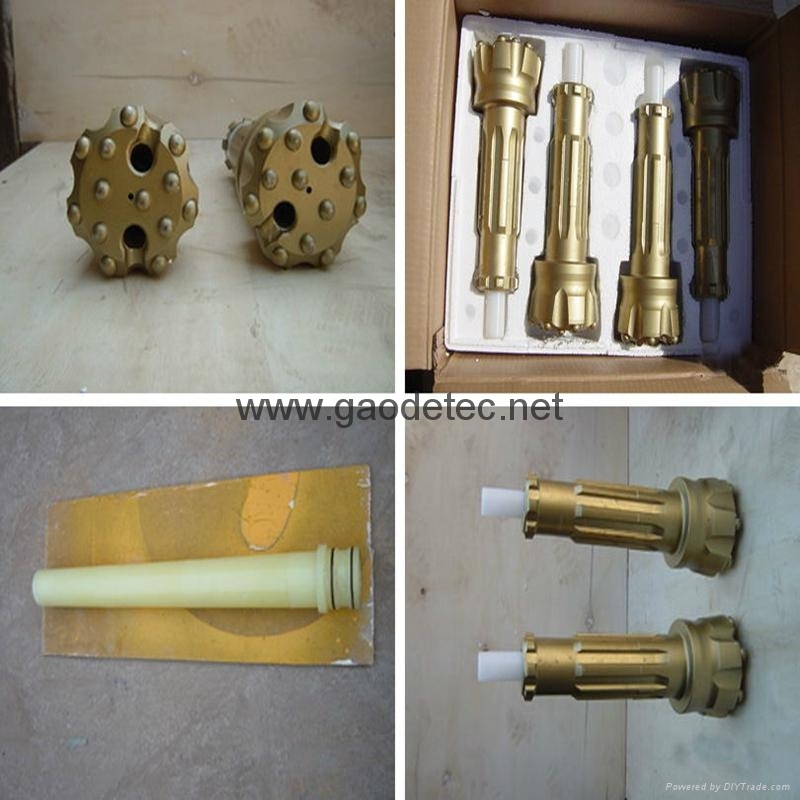 DTH used in variety heavy industry. 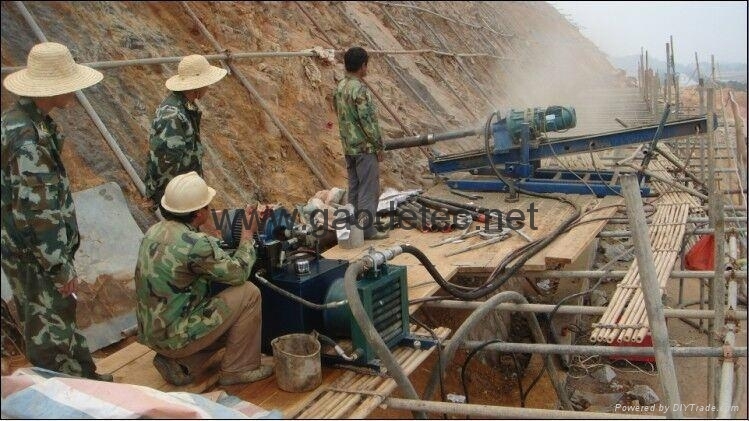 It is used to drill blasting holes like small to medium mining projects., national defense projects, irrigation projects, road construction and etc.And it is also the indispensable drilling equipment open-air mine drilling for open pit mining in early stage, especially suitable for rugged terrain where other drilling rig can’t operate normally. Our down-the-hole drill is ideal equipment for down-hole blasting. 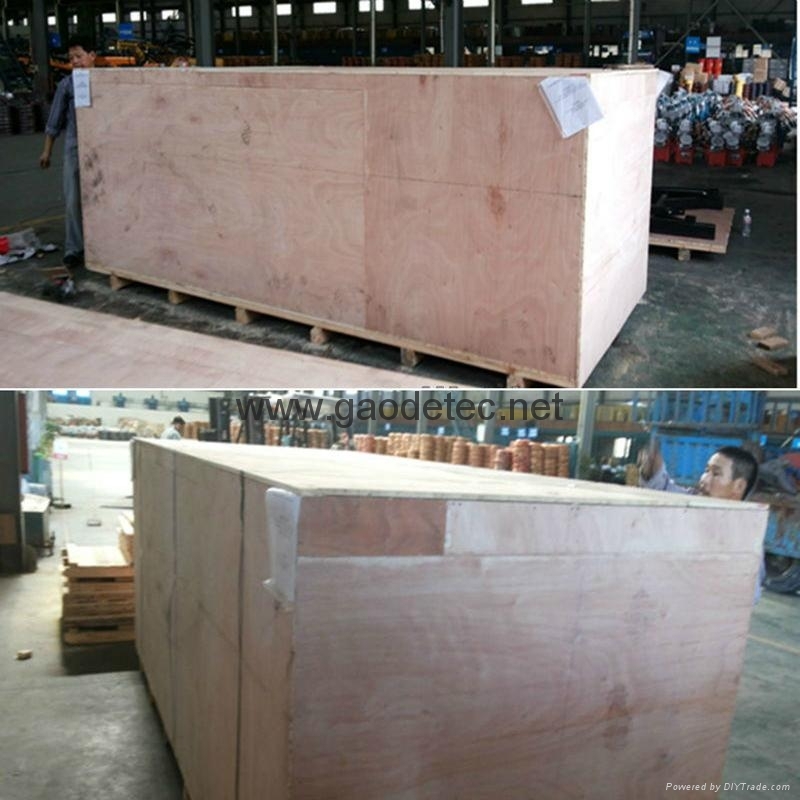 Features: compact structure, convenient operation, high efficiency, good detachability for easy moving. 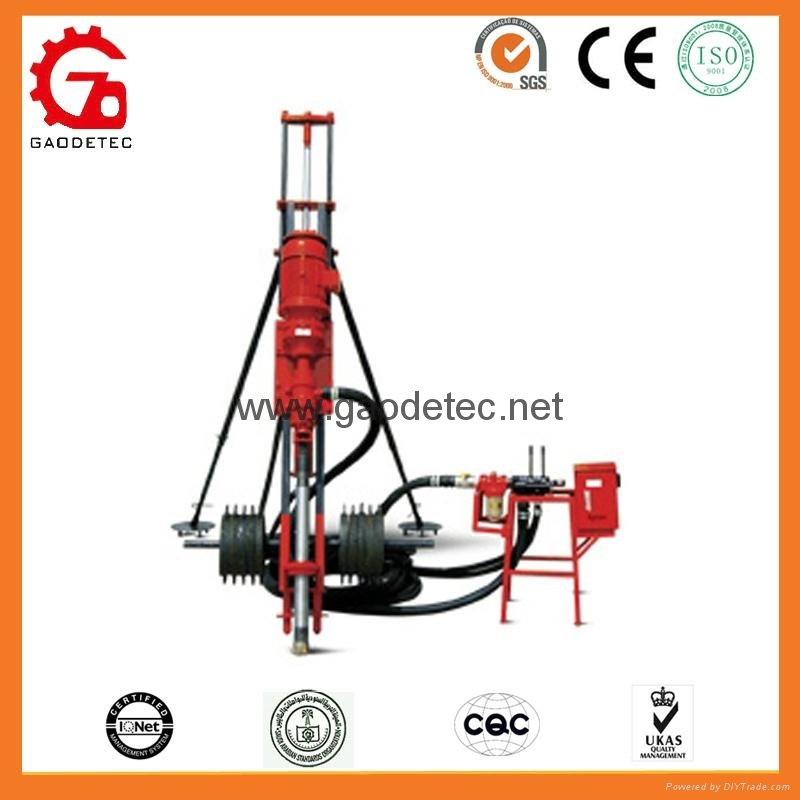 GD70 electric drilling rig is the equipment that converts the electric energy and compressed air into mechanical energy to break rock. 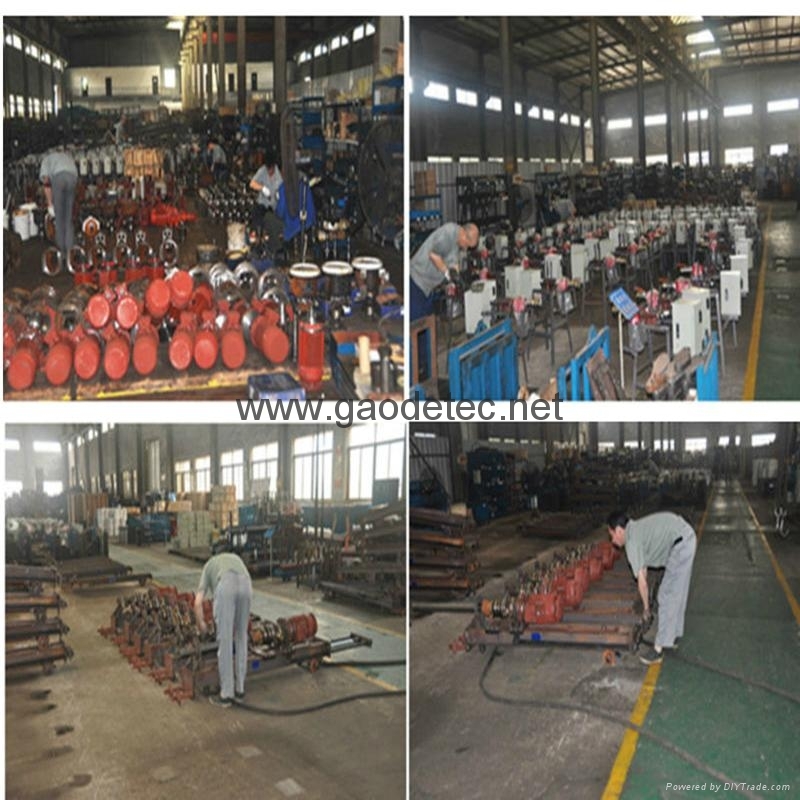 After electrify, the drilling tool is driven by the torque produced by cycloidal reducer through the intake seat. 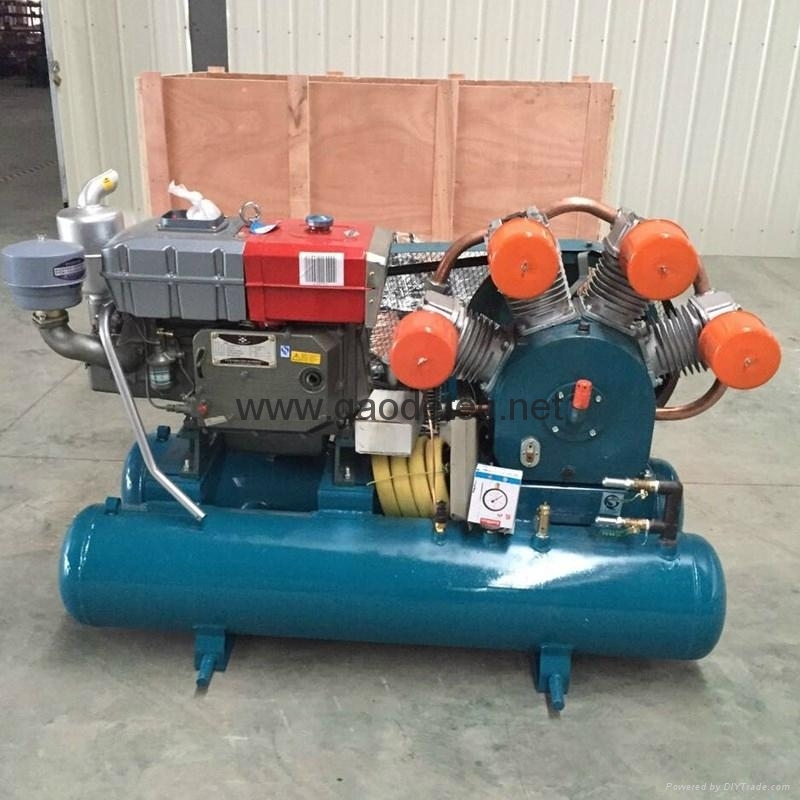 Compressed air are divided into two way after going through oil mist device and pneumatic valve: one way enters into the cavity of promoting cylinder, which produces an axial force drives the drilling tool to promote or elevate through the cylinder piston and guide rod; the other way enters into the impactor through the intake seat, so as to achieve impact drilling.